Music from A Canterbury Tale. ACT opens with church bells ringing and the mid-15th century polyphony Angelus Ad Virginem in orchestral guise, followed by a march-like theme in the English style. That leads into a semi-chorus, the pilgrims' blessing leitmotiv, resembling Gustav Holst's "The Hymn of Jesus." The pilgrims' blessing leitmotiv recurs at key moments in the movie. 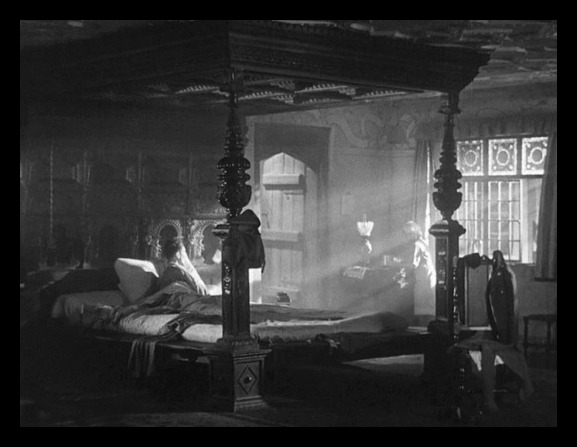 The score is rich in leitmotivs, mostly invented by Allan Gray. "Angelus Ad Virginem" can be found in Geoffrey Chaucer's The Canterbury Tales. "Turkey in the Straw" instrumental heard after Bob Johnson speaks to the maid in the Hand of Glory. 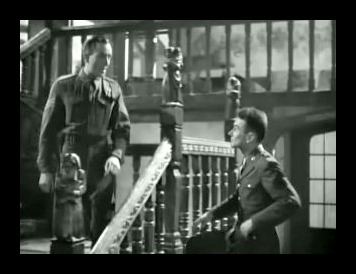 "Turkey in the Straw" is a playful tune chosen to reflect the fun character of Sergeant Bob Johnson as being an American turkey after he slept in the straw (bed of Queen Elizabeth 1st) in the Hand of Glory. "The Church in the Wildwood" sung by Bob Johnson as he prepares to wash in the Hand of Glory. 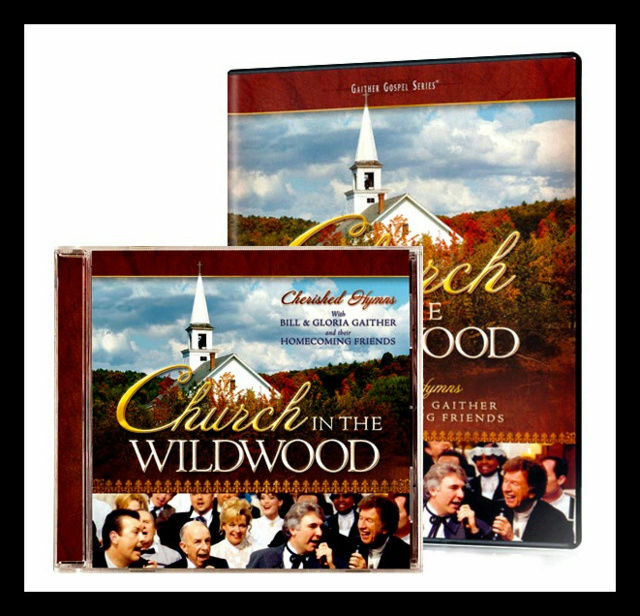 CHURCH IN THE WILDWOOD CD & DVD. We hear two compositions by Allan Gray played in the background: "Commando Patrol" and "I See You Everywhere" while Peter and Bob are in the Hand of Glory. "Hear My Prayer, O Lord" by Henry Purcell is sung after Peter Gibbs enters Canterbury Cathedral. Toccata and Fugue in D minor BWV 565 (Bach) "played by Peter Gibbs at Canterbury Cathedral." 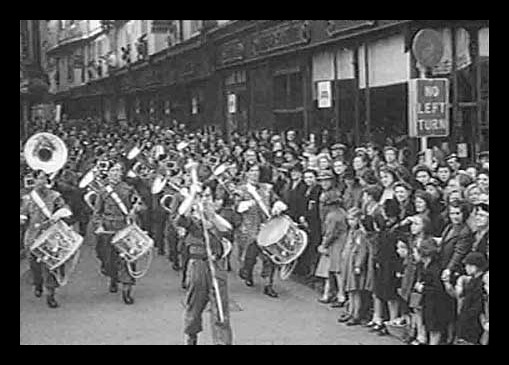 "Sons of the Brave" is performed by the band of the Buffs at the start of their march at Westgate. "Bond of Friendship" is played by the band of the Buffs as they near Canterbury Cathedral. The Band of the Buffs as they play "Bond of Friendship." Not only was there a bond of friendship between Bob & Michael, but also between the UK & USA. 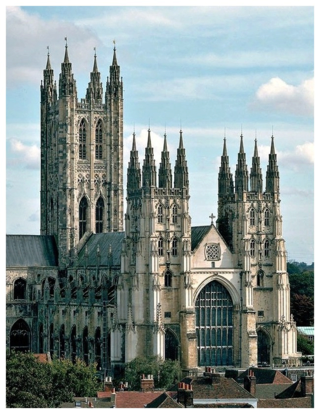 "Onward Christian Soldiers" is the final hymn sung in Canterbury Cathedral.